So you’ve come across the advertisements in social media and want to know more; so what is Survey Junkie and is it a legit way to make some extra cash, but are you prepared for those really long days of repetitive mundane tasks? Everybody has spare time to kill, whether it’s through holidays, after work and in the evenings, between jobs, or at the weekends, and then why not turn that spare time into cash, and earn yourself a few hundred bucks a year filling out surveys or testing products? I mean you can do this whilst watching TV or YouTube videos! When researching the popular ways to make money online, surveys always seem to come out on top, but you have to check out these sites carefully as many are not worth going anywhere near. There are vast amounts of research companies out there offering rewards just for you to make opinions on products and services, but not all of them are as legit as they may seem! 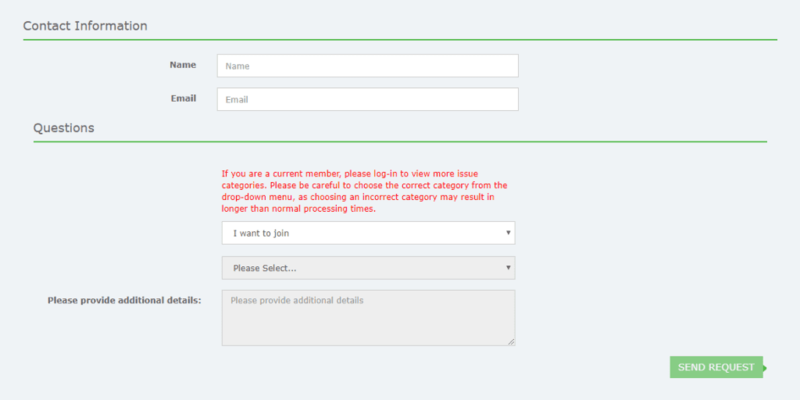 It is hard enough sitting for hours filling in questionnaires for the small amount they are offering, only for them to withhold payment or wait until you have completed a survey only to be told that you didn’t qualify. Has this happened to you? Remember when researching which survey websites to join please make sure you exclude all sites where they are asking for a membership fee. These sites you should stay well away from! What they do, based on the information that you supplied when signing up, is match you with the actual survey providers (their clients). Which is the same as telephone sales where they would approach a person, get their details and pass it on to a salesman to close the deal? What this also means, is that your personal details will probably be on their clients’ email lists as well as their own. As long as you are aware of this! Survey Junkie was launched in June 2012 and part of Blue Media Ventures Inc. and according to their website has over 3,000,000 members. 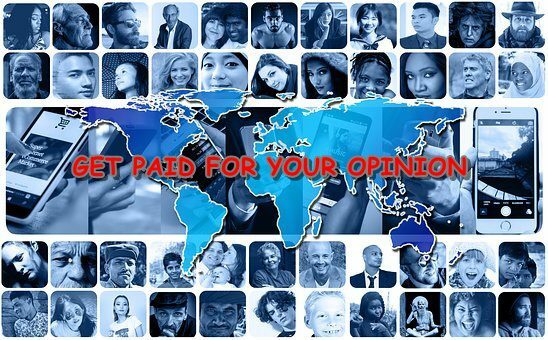 Is an online platform where you are rewarded for giving your opinions and completing surveys. Whilst there are different types of surveys to fill in and complete, it is all part of the same thing, market research! Many companies including major ones like Amazon and Walmart, work alongside companies like Survey Junkie to get valuable feedback and opinions on their products and services, and they pay sites like Survey Junkie for doing this, and a portion of this fee will be passed onto their members for participating in the surveys, by the way of points. Or that is the gist of it! Well. I wonder if the mortgage company will be so relaxed when I tell them I’m waiting for some work. How do I get started with Survey Junkie? Pretty straightforward here, and there are 3 options as you can see from the image below. What I wouldn’t do is sign-up under your Facebook or Google+ account just to be on the safe side! You don’t really want people who you know in social media to be pestered with Survey Junkie pop-ups do you, and I don’t know about you, but I like to keep my personal life private? Once you have completed this process, they will ask you a serious of questions which allows them to slot you into a certain demographic, to help in the selection process of the surveys that best suits you. You will be rewarded with 100 points which equate to $1 for registration. Before you can get paid you must have reached the threshold which is 1,000 points and what members tend to do is to cash in as soon as that is reached. You can either redeem those points for eGiftcards or select the PayPal route and get paid in cash which most members end up doing. What is clearly evident here is that you aren’t going to be jacking your job in just yet! It all depends on just how much you favour your time and whether it could be used in a more constructive way. Firstly, finding a legit money making opportunity like a survey site can be a nightmare, because there are so many with a large percentage not worthy of trying, but if taking surveys is just to earn a little extra cash, and they can be done whilst doing other things as well, then that’s fine. Like every company, there is a positive and negative aspect to take into consideration and I have tried to highlight a few below! 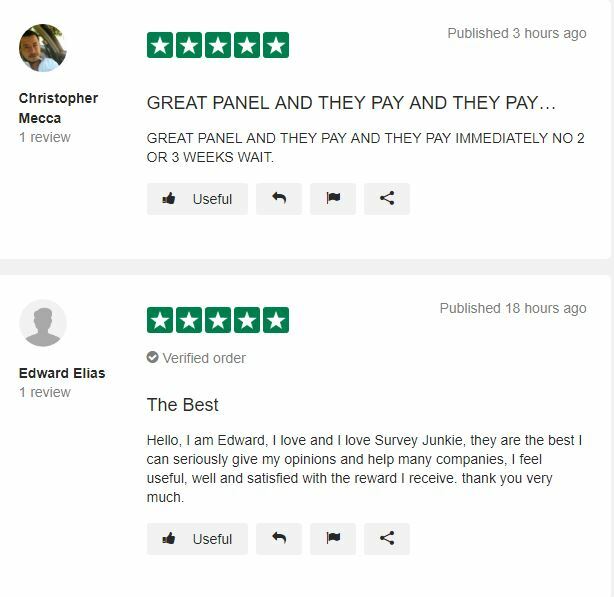 Survey Junkie has been operating since around 2012 and according to the website has over 3,000,000 members. 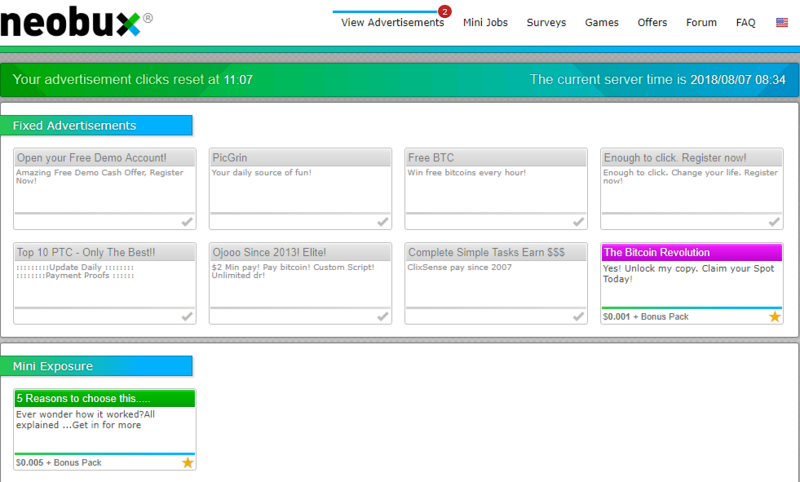 Very easy to join and become a member with the whole process taking less than 5 minutes. You have to reach 1,000 points which equate to $10 before you can redeem those points for either eGiftcards or cash that you can withdraw from PayPal. Other like-minded survey sites are usually a lot higher which means it would take longer to get paid. The points that you accrue do not have an expiry date, so you don’t have to worry about cashing them in, but what Survey Junkie does expect, is that you are active at least once in any given 12 monthly period. Normally, the points you earned for completing each survey will be rewarded to your account immediately after. 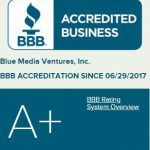 According to BBB (Better Business Bureau) which is a consumer website, they have a rating of A+. We are in the 21st century and everybody has a mobile device of sorts so I find it a little strange that there has been no mobile app developed. Don’t you think it would make sense, and besides wouldn’t that mean that “Survey Junkie” would be getting paid more also? This happens for no reason at all, and when you have taken part in a survey, or more than often when you have completed one. Just think you spent 25 minutes filling a survey in to be told that you didn’t qualify! Mind-numbing stuff! I mean why do they do this? Maybe to slow your progress if at all you are progressing, which I doubt very much. When I joined I spent a few days waiting around for access to the survey database and each time I signed in to the app I was met with a message telling me that there were no surveys and to try again in a few hours’ time. Better be quick when you receive an email indicating you have been selected for a survey. I received an email from Survey Junkie informing me that there was a survey for me to complete, but when I tried to access this survey I was told that it had been taken. I guess we are all competing for the same surveys! There are plenty of complaints regarding member’s accounts getting deleted for no apparent reason, and whilst these facts in a lot of cases can’t be vindicated, it may well be down to a member violating the rules. There could be a host of reasons for this happening but it doesn’t look good, especially when you might have spent the last 25 minutes filling in a survey to completion stage, only to be told you didn’t qualify or you didn’t receive points. Only open to United States, United Kingdom, Canada and Australia. Obviously, the clients of Survey Junkie are English speaking and therefore only target English speaking countries. 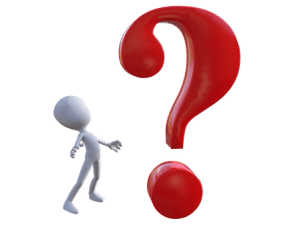 When you register as a new member you are asked to fill in a questionnaire which allows Survey Junkie to be selective in their selection process when it comes to handing out the surveys. I did receive an email 3 days into my membership telling me that I had been selected for a survey and that I had to hurry because it was filling up. Really, well when I tried it was full! Is Survey Junkie legit and does it work? 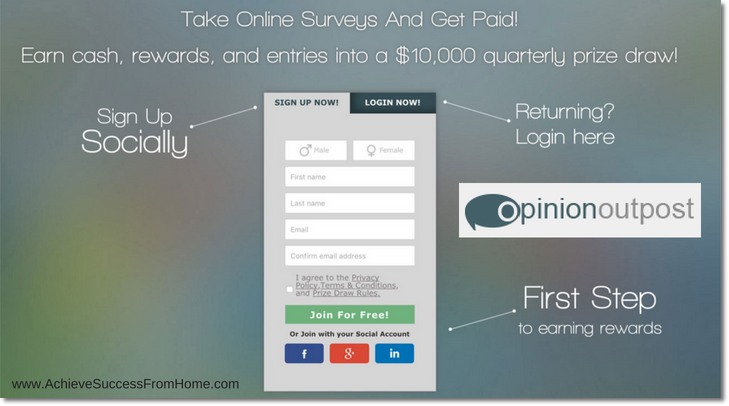 One thing for sure, and that is Survey Junkie is a legit opportunity for you to make a little extra cash online, but that is all you will do, earn a little extra cash! Some people enjoy filling in surveys and there is nothing wrong about that, but remember that you are going to be spending many hours in front of a screen, but it’s not rocket science and you surely will be able to do other things whilst completing these tasks. 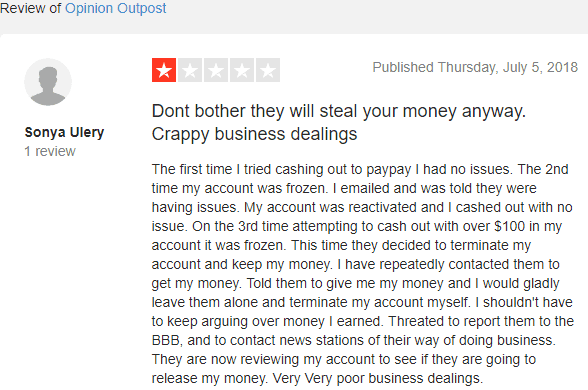 Whilst you will find negative comments on various review sites, there are more than enough positive comments which far outweigh the negatives to convince you that this is a viable business to get involved in. Remember there are always going to be issues with any business! 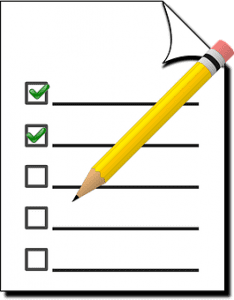 Survey Junkie Review 2018 – The Verdict? As you can see to make a little cash you are going to have to spend quite some time in front of your PC or laptop but if that’s what you already do then why not, as I have been in that position myself in the past. If doing surveys is just a stop gap, it was with me some time ago now, then why not focus your time in a more efficient way and learn a new skill. You might surprise yourself! 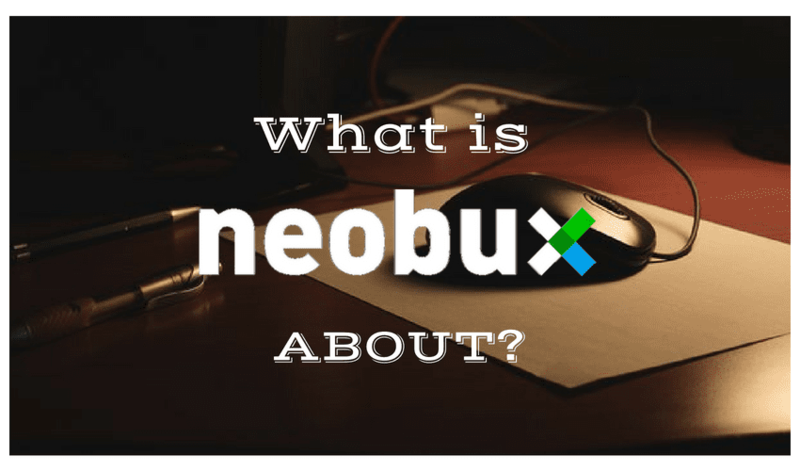 With the ever-expanding Internet approaching 3.8 billion users, and the affiliate marketing industry heading towards an 8 billion dollar business, then wouldn’t affiliate marketing be a good thing to get involved in? With Google, there are over 65,000 searches every single second, which amounts to over 5.6 billion searches in one day alone, and that’s people searching for literally everything you could possibly think of. All you have to do is find out what they are searching for, create a website and get it in front of that crowd! This definitely is not rocket science and everybody can do it! If you can write emails, do research which we all do then that’s pretty much it, but what I will tell you is that hard work is involved. Just think 1-2 years from now you could be earning $5,000 – $10,000 a month and that’s a conservative figure! Sounds good, then check out this article I wrote and see what you think. Since I have participated in online surveys in the past and did make a little money then I have a little experience to put your way, but those days are well and truly gone! 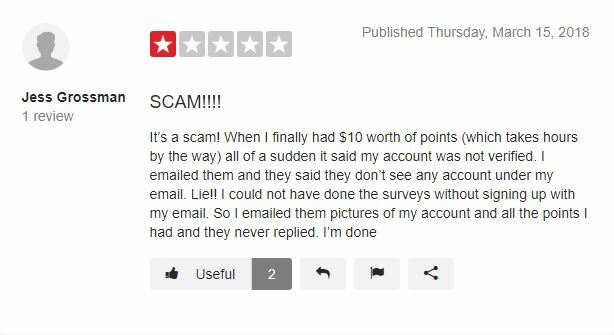 Have you had any bad experiences with online surveys? Are you a member of Survey Junkie and how do you find them? Are you looking for a way to make money online? I’d like to know! If you have time then leave a comment and tell me what you thought of the review.